What does Tòti Bleu have in common with surfboards? Nothing, you might say. But look what I have found. In my search for lightweight, environmentally friendly materials for building Tòti, I found the following website. If there is someone reading this who has a building project in mind, I would like to share this information. 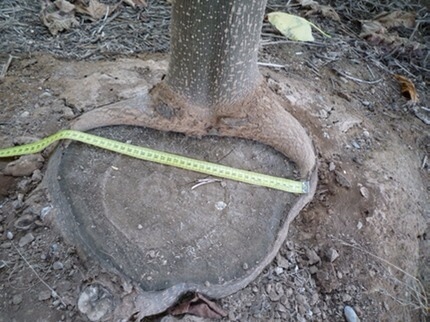 I have contacted the company in Spain, http://wood-alaia-surf.paulownia.ws. Their prices are reasonable and they will ship to France for no additional cost. There are also Paulownia plantations in the states. ORGANIC, SUSTAINABLE, ENVIRONMENTAL FRIENDLY !!! Paulownia is a tree originally from Asia, and it is being now cultivated for us in Europe. 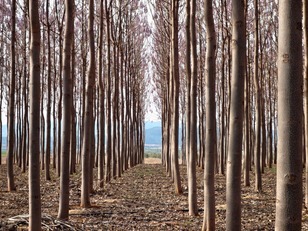 We are proud to be the first Paulownia growers in Spain who have harvested the first commercial trees. And now we can bring to you, after several years cultivating paulownia trees, the opportunity to have your own paulownia wood surfboard. The reason to use Paulownia wood for surfboards is because it has the ability to resist saltwater like no other wood in the market. There is no need to varnish or glass. Only use linseed oil and beeswax. Paulownia wood is lighter than most of the wood you can find in a timber store and has a very nice flex. Easy to work, shape or sand with hand tools, eco friendly and no toxic. Paulownia timber is the perfect combination to create alias or other wooden surfboard without glass. Paulownia timber can be used for a wide of variety purposes, housing components, aircraft, fittings, veneers, furniture, musical instruments, barrels, handcrafts, gift boxes, storage boxes, charcoal, wood pulp and coffins. But specially suitable for marine crafts, boats, kayaks and surfboards, due it has a low density giving excellent buoyancy and resistant to soak up water. It has a straight grained and easy to plane to glossy surface. There is no other wood that even remotely compares to paulownia. Work with this wood is safest for wood shaper, for example Balsa dust hurts lungs. Paulownia is odorless and no toxic. We hold environmental consciousness and responsibility since first day when we planted paulownia trees and also we have taken active steps to significantly reduce the environmental impact. We always take care and oversee in the whole process minimizing, as far as we can, our carbon foot print and energetic costs. We recycle the leaves, branches of trees and woody debris in organic fertilizer and biomass. Paulownia wood comes from sustainable and almost 100% organic plantations. We bring the timber to you directly from our own plantations, directly from the land to the sea. There is no middleman in between and we only cut the trees you need. Surfers, that use alaias or surfboards made with paulownia, have to know while they are surfing, another tree is growing from the stump. The circle of life starts again. Please take a look at my new pages. Just click on the links below.